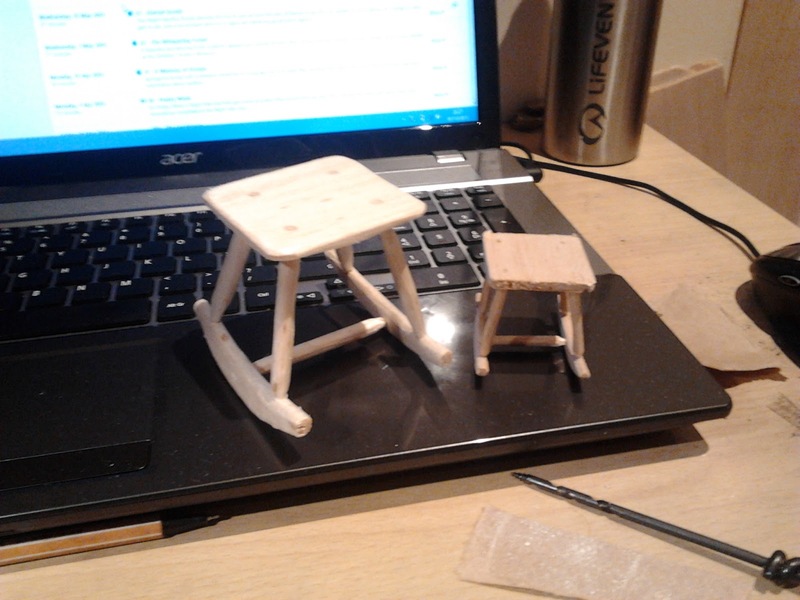 Another small scale model of the rocker, for the previous post on the 3D model see here. This time slightly larger in scale with better joints. 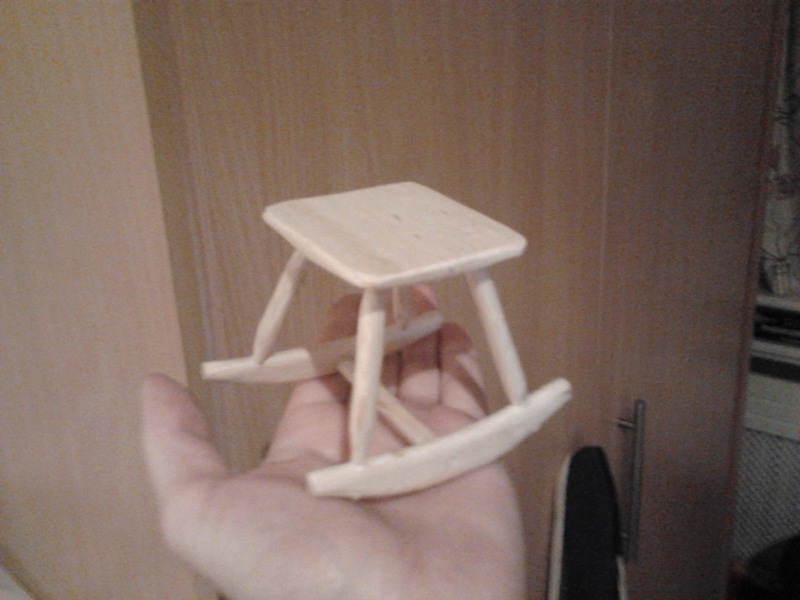 I also slightly carved the underside of the seat on this one. 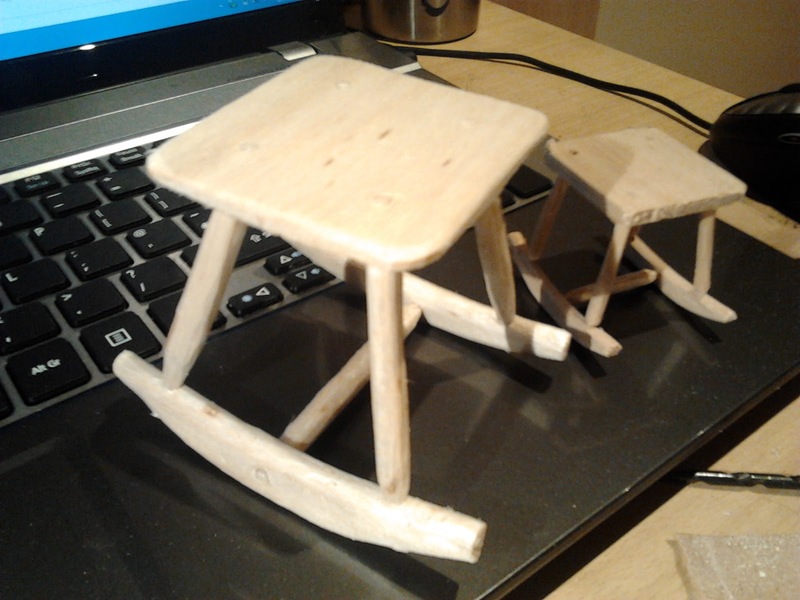 The leg posts and brace on this version are more similar to how the finished stool should look.